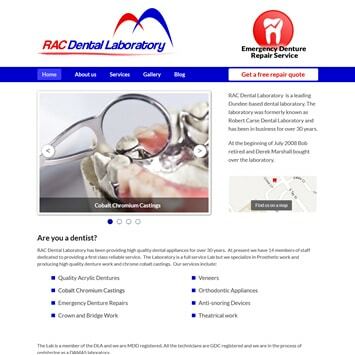 RAC Dental Lab in Dundee had an existing website they developed themselves many years ago, but wanted to improve their image. They were also questioning the value of their current advertising with Yellow Pages, seeing dwindling returns from the expensive traditional options, and realised that a new website would help them capture new customers. After a review of the options for web design in Dundee they selected Carnoustie Creative and we set to work creating a number of alternative looks for their new site. 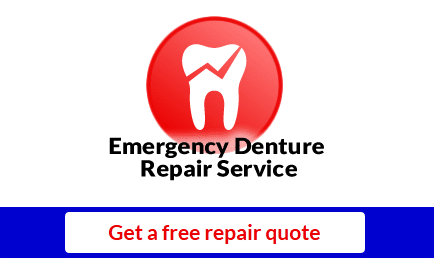 Most of their work comes through contracts with dental surgeries but they were keen to increase repair work that takes place when members of the public with broken dentures or dental appliances contact them directly. With this in mind, we created an online form so prospective direct customers can get a quote and linked this to an eye catching “call to action” in the site header. If you are looking for web design in Dundee, Angus, Fife or Aberdeenshire, please don’t hesitate to get in touch. We specialise in helping small and medium sized enterprises punch above their weight on the internet and cost less that you might think.